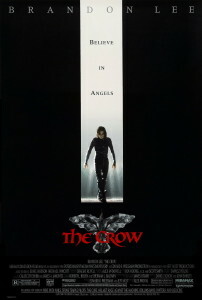 The Crow (1994) – Based on a comic book created by James O’Barr, this 1994 film is what put the “goth” in gothic and is celebrating its 20th Anniversary this year. 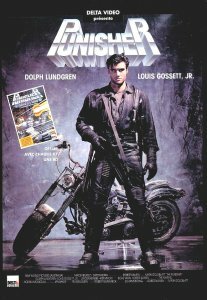 The film will forever be infamous for the tragic accident that led to the death of its up-and-coming star Brandon Lee, but this dark and romantic cinematic tale of redemption from beyond the grave led to four sequels, a TV spinoff and is tied directly to the growth of the goth subculture in America in the mid to late 1990s. 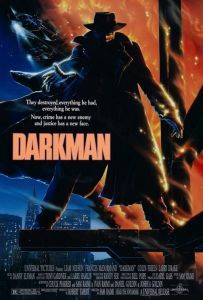 Darkman (1990) – When boy-genius-cult-director Sam Raimi couldn’t obtain the rights to do a film adaptation of the pulp serial The Shadow, he decided to create his own scarf, hat and trench coat-wearing hero. It stars Liam Neeson as a scientist trying to create artificial skin for burn victims, but no matter what he does he can’t seem to get it to remain stable in the light for more than 100 minutes and, of course, in typical superhero-origin lore fashion, he ends up needing that very skin after the mob decides to cause a little “accident” in his lab. At its core it is a tale of revenge, corruption and greed, but thanks to Raimi’s auteuristic style, it is chuck full of fun, campiness and just plain weirdness. FYI…there are two sequels that are not directed by Raimi and don’t star Neeson. 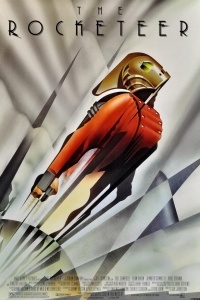 The Rocketeer (1991) – Based on a comic book created by Dave Stevens, this retro hero tale finds an “average Joe” pilot battling a Nazi invasion in 1938 Los Angeles with nothing more than a pistol, Howard Hughes’ prototype jetpack, a cool leather jacket and a sweet looking helmet. The film was Disney’s attempt at stepping into the post-Batman superhero ring and though it did not fare well at the box office, it truly is fun for the whole family that still holds up today. On a related note, director Joe Johnston went on to direct Marvel’s own WWII-era superhero movie, Captain America: The First Avengers (2011). The Heroic Trio (1993) – This is a crazy Hong Kong martial arts extravaganza directed by Johnny To and starring the lovely and talented Michelle Yeoh, Maggie Chueng and (the late) Anita Mui. Three badass beauties battling an invisible woman and a subterranean super-villain named Evil Master with heavy artillery and wire-fu…do I really need to go on? It also has a kickass sequel. 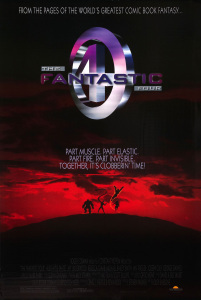 The Fantastic Four (1994) – Okay, so this one was never actually released, but you can surely find a copy of it online and I know there were certain completest video stores and comic book shops back in the day that carried bootlegs of it. There are many rumors and conspiracies surrounding this film…so much so that somebody is actually making a documentary about it. Is this movie good? Well, beauty is the eye of the beholder. What I can say is that it will be a fun ride for those of you that grew up in the 1990s. It is so “90s” that nostalgia can’t even describe what I felt when I watched it recently. Produced by the great Roger Corman, this film features the super-team’s origin story and focuses on their first battle with Doctor Doom. It’s schlocky and fun and a must-see for any self-respecting late-Gen X comic book and movie fan.